seattlejester had the most liked content! Man that looks really good pretty good priority as well. They want $350 in shipping alone? If that is what you want I'll ship it up to you for what it costs at the local shipping place. Or perhaps you can try eBay? I know some shipping calculators freak out when you input other countries. Depends on your tolerance level. I'd say the folding ones on eBay are super unsafe, you could buckle them if you try. A solid bucket like that I'm not sure what to think without seeing the internal construction. I know the bride knockoffs were like hard plastic in some case. If it gets you moving on and you plan on replacing it then not much more to be said. If it saves it for more important things down the road, I can't argue with that either, I have a lot invested into suspension and drive train and very little in the interior so my attitude is pretty lax compared to others. I believe ours are 8mm thread? Maybe it could be used with one of these. http://www.linghunt.com/PartDOCS/B2409-X/B2409o14.html I wish there was an 8mm stand off which could save you the use of another lock nut. I suppose a tall nut (also found it mentioned as a studding nut) with all thread would be similar although it would require another lock compound on one side, maybe red locktite would do. Clevis female rod end is apparently the correct name according to mcmaster https://www.mcmaster.com/clevises 2448k48 seems like a longer variant of what I purchased before so it may be a viable commercial option. No, I've heard the pin called the clevis as well so I should have led with a picture of some sort. That is not a bad idea. My original thought was to weld one of those to the backside of the clevis U thing itself. I wonder if there is enough length for the appropriate locking hardware to keep that all from rattling loose. I'll check mcmaster's catalog as well. I remember when I did this a while ago I looked up the grainger catalog and only found 1 option, maybe things have gotten a little better since then. Just found this post. 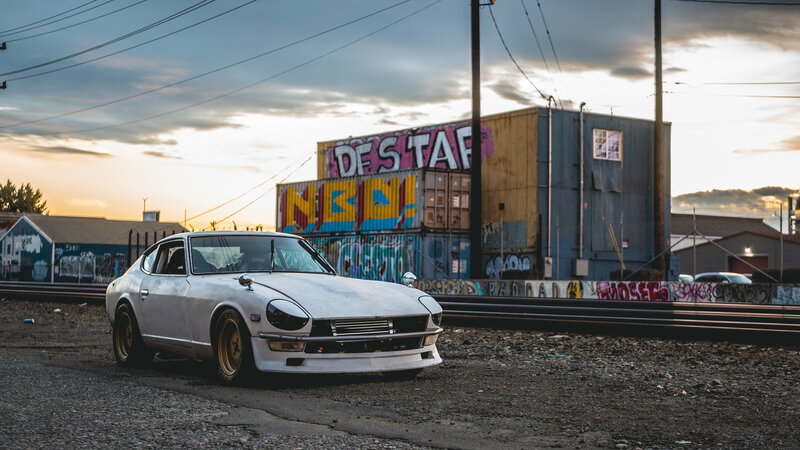 I am running the 15/16 on a 240z booster. Curious I don't recall which I set the booster to if it was the early or the later spec. I'll do some diving and maybe pull the booster and see what would be involved with swapping the external pushrod if the internal one is correctly set. Thanks for the link NewZed I'll have to dig through the parts diagram and see if Nissan has something, but I think my terminology may be incorrect? The clevis I am referring to is: https://zcardepot.com/collections/master-cylinder/products/copy-of-power-brake-booster-7-240z The U-shaped pivot point? I think the last time I found it they called it a threaded hitch or something at the local hardware store. After a lot of searching and for a ridiculous shipping charge I did find the clevis that looks identical to the Z car depot one a long time ago, but it was really short as in there was not very much room from the pivot to the thread, I think the brake was too thick for it to work in that application. I am being lazy here, I'll get under the dash and make some measurements, as miles says my current setup is maxed out with only one thread showing past the clevis and I have a good 2-3 inches of dead pedal before I get to the brakes which can be kind of alarming. The solution is to either extend the arms of the piece, add a coupler for more threads at the bottom like a hybrid of the z car item and the current one, or find a longer push rod if the brake booster can swap the push rods about. eBay seats will eventually show their colors. Either the material will fade, crack, fall apart, or it will rip if you look at it funny. I ripped the fabric in mine getting out of the car in an odd way. My low buck sparco's were sitting outside in a shed and all they needed was a bit of wiping to bring back. The factory seats I've seen in remarkable condition even almost 50 years on. By the time you have it reupholster with some decent foam you would be looking at the price of a good seat. I sold my last eBay set as office chairs as I didn't feel comfortable advertising them as car seats as the back had so much flex. Aesthetically it would pass as "period correct" to an untrained eye. Those breathers look like they would be cheese graters if you tried to slide into the seats. The old school rivet style seems like a better overall choice. Neat. I do feel like they are a one time type of thing unless you have a coating that lets all the oil bead up and fall down and the shape was concave or something. The 3 bolt has 1.5 or so of adjustment if I remember. It ships with the adjustment knob centered in the hole which is max negative. I have adjustable arms, but my jig was made off of a factory arm so pretty close to stock. I pushed the camber plate to max positive which brought the -4 down to -2.5. The shop I took it to then dialed out some more with the adjustable arms. You could get by with either a 4 bolt top, or camber bushings if you want it closer to -1 or 0. You may need some camber adjustment at least in the rear. I had -4* with the included camber tops, I dialed it out to something like -2.5*, but if you want less than that you will need some arms to bring it in or more adjustment in a different camber top. So I had this problem in the past, and I've just kind of ignored it. Time to finally address it. Has anyone found a source for the clevis for the brake pedal? I took one off of my clutch as the one I found and paid a lot for ended up being too short to reach around the metal plate of the pedal itself and I foolishly left it attached on my booster when I traded it in. I'm hoping for something a bit longer as well as there is a lot of slack before the brakes engage and I can't dial in the preload as it is maxed out on the threads. If a source isn't available does anyone have recommendations on how to lengthen the clevis correctly? Should I lengthen the arms? Or should I weld on a coupler to the threaded side to extend the clevis length? Getting the motor in physically won't be too difficult. If I recall you have to keep the mounts on the engine side from the current motor in your car. Wiring isn't too difficult to sort through once you have the motor as the wiring is a little different between the years. With a 2+2 you may run into issues with the drive shaft length if you plan on running the T5 transmission. If you plan on keeping the 5 speed you have now it won't be a problem, but it will be a weaker setup if you decide to up the power down the line. If you are looking for a shop I think Z-sport up north in Everett or Fairlady Motors/U.P. garage down in Tacoma are the only specialist, not that you would really particularly need one, a competent shop should be able to tackle it. I think the only person I know that does private work is Dave up in Marysville. If you are looking for input/advice, there are quite a few local guys around who have done it. @Boog has one in his car, @TheFairlady went through a few in his. @AlbatrossCafe is also sporting one if I'm not mistaken, you may be able to pick their brains about questions. I was talking to a friend about it, he was going over the math involved for assisted mechanisms and it was quite complex so I imagine the little box has a lot to figure out especially without speed input involved. You are right, I imagine that would come in on freeway driving in a straight line, minute corrections could mean you are hunting for a straight line, I was thinking more long sweeping turns and such. That is one of the downfalls of the E-steering setup. It usually needs to sense a force to begin applying the force which can come across as play or delay. The beauty of the bruno setup is that you can turn it off for most of the time other than when you are at low speeds where the assist would be appreciated. The other downfall while we are at it would be a general numbness that can be attributed from too much assist, which also could be toned down with a knob versus a feedback. I was really really really into having power steering, even built my own setup following another member's build. I have about half an hour more work to install it, but I really can't seem to be bothered. I went auto crossing which should have been a workout in theory, but it never even occurred to me that I was missing out on the assist. I can definitely feel for people running more than my measly 225 width tires, or if they have tight parking spots to navigate, but short of perpendicular spots, parallel parking, or meaty tires I haven't found a necessity to finish. Edit: also people with shoulder or joint issues, I'm sure could benefit as well. Not recommended for anything more than casual driving. By relying on the force input there is a delay before it assists, so slightly difficult to suddenly easy, hard to do precision maneuvers, but perfectly adequate for say parking or moving down a freeway. I guess it depends on your usage. I only really wanted it for low speed, so I thought that might be useful, but I believe he recommended for any automotive events you don't use it.